This elegant Libbey Stemless Wine Glass set is an excellent choice for a wedding or anniversary gift. 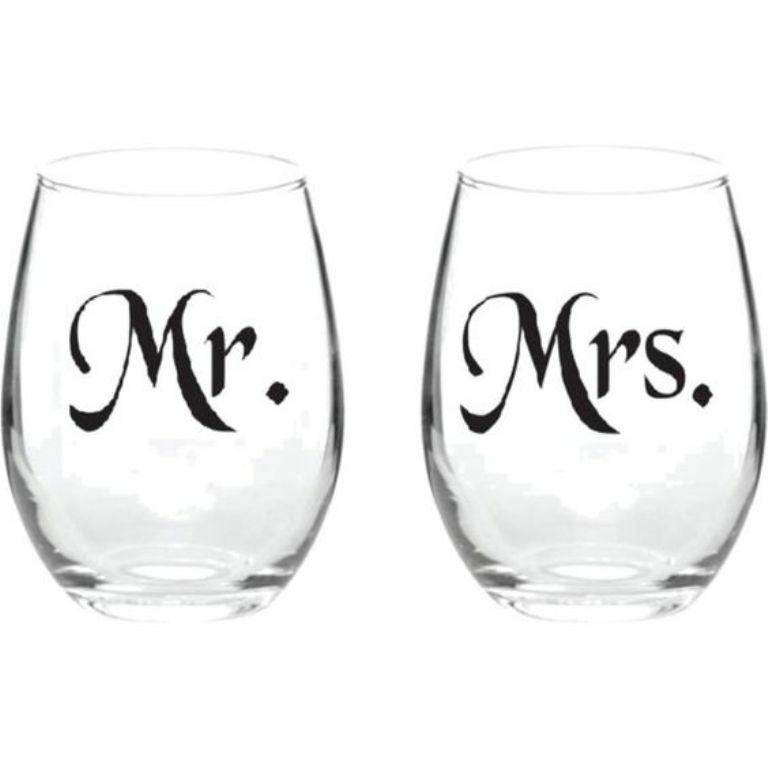 Set includes 2 clear, tapered 9 oz glasses with matte silver lettering for the “Mr.” and “Mrs”. Libbey stemless wine glasses are made with only the highest standard glass material for an elegant finish that will hold up to 9 ounces of your favorite reds or whites. Glasses are microwave and dishwasher safe. Made in the USA. Set of 2 Libbey 9 oz Stemless Wine Glasses in Clear, Tapered Glass with Matte Silver “Mr.” and “Mrs.” Lettering on glasses. Libbey Stemless Wine Glasses are made with the highest standard glass material for an elegant finish. 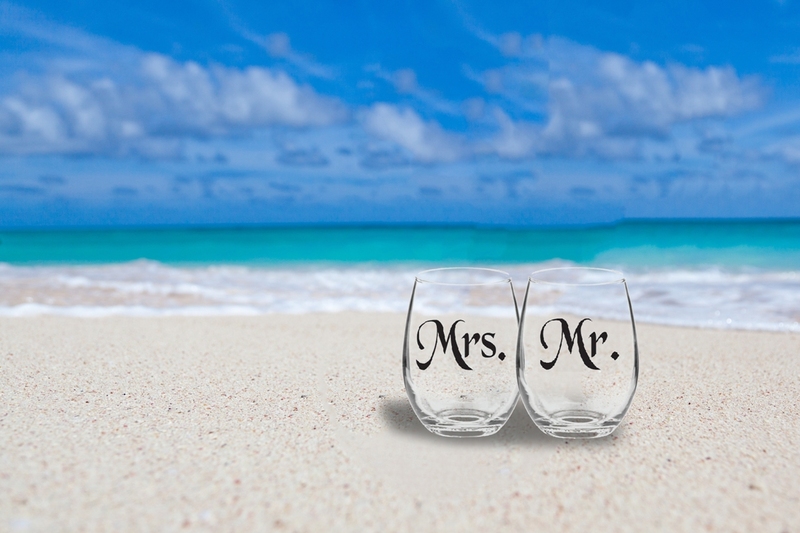 These wine glasses make great married couple gifts, anniversary gifts, engagement for couples, wife and hubby gifts, or practical wedding gifts. After the wedding, save these momentos by using them as a candle jar. Colorful candle wax will amplify the lettering on the glasses. Glasses measure 2.25″ W x 4″ H, and have a 9 oz capacity. Microwave and Dishwasher safe. Made in the USA.